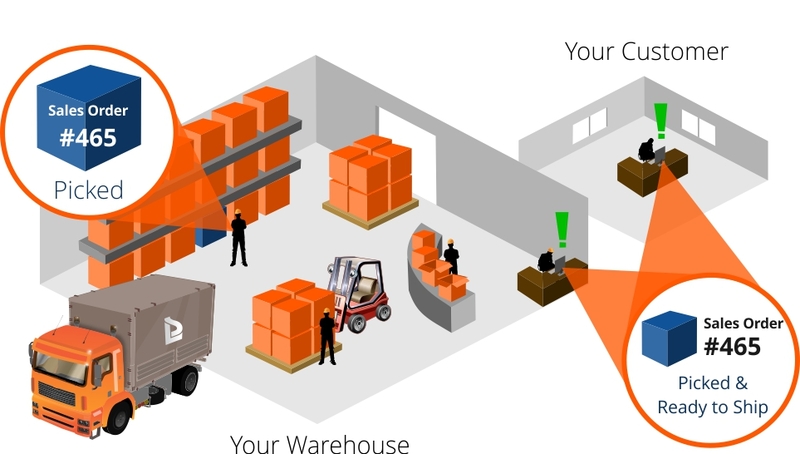 Your Turn-key Warehouse Inventory Application Wireless Warehouse In A Box™, Warehouse Management System is your complete supply chain solution, integrating your ERP, LTL and EDI systems, RF and Barcode hardware and all warehouse automation equipment. Our WMS supplies a powerful, scalable and flexible real-time warehouse management system to ensure successful productivity, reduce costs, shorten fulfillment times, increase customer satisfaction and provide you with rapid return on investment (ROI). Warehousing can be a lot easier than you believe; and our team of experts are here to show you. Managing some of the most highly-regulated and complex warehouse environments in the world, our WMS gives warehouse companies an application platform of best practices for receiving, put-away/flow-through, inventory management, order processing, replenishment, pick/pack, loading and shipping as well as the ability to build custom business processes. In addition, our warehouse software ensures, fast, accurate, real-time visibility and control into your inventory movement across multiple warehouses from a single point of access. Not only will you be granted with the ability to view inventory status and orders, you will be given the visibility on inventory location within your warehouse using our pioneered technology known as visual warehousing. As the Pioneers of Visual Pick Technology, we have listened to the constraints of warehouse companies across North America and understand the problems with not being able to easily determine inventory positions, their contents and handling requirements. Having increased visibility within your supply chain using visibility software can reduce inventory costs for you and your customers, improve profitability, reduce risk, improve resiliency and improve overall service. Thus, we have developed an innovative software feature allowing warehouse owners to map their entire warehouse; highlighting its inventory locations which gives floor operators a pinpointed location to pick from. Along with pinpointing functionality, it will also enable you to see the contents of the inventory with product imagery and its unique details (I.e. handling, storage, expiry dates, etc.). More can be read on this empowering visual warehouse management technology here. In addition, we know that mobility is a big part in an efficient warehouse – Considering so, Wireless Warehouse In A Box™ has been produced to allow it’s users to operate 85% of this Warehouse Management Software from the palm of their hand. The team at Systems Logic has created something substantial and should be taken advantage of by the supply chain industry. Let us help you reduce your operational costs and provide a seamless work environment for your organization. Wireless Warehouse In A Box™ 3PL Warehouse Management Software was developed for the complexity of the multi-client warehousing business. This solution was creatively designed by industry professionals who understand the challenges of managing numerous products in various ways for multiple customers. This 3PL warehouse management software will allow you to customize many aspects of the system to meet your needs and the needs of your customers. It provides your employees and customers with real-time information confirming that everyone is in the loop 100% of the time. This edition of Wireless Warehouse In A Box™ also enables you to set rates, track and bill your clients for all movements and storage types as well as a variety of unique functionalities. This completely robust solution establishes a seamless work environment by connecting employees and customers with accurate real-time information.